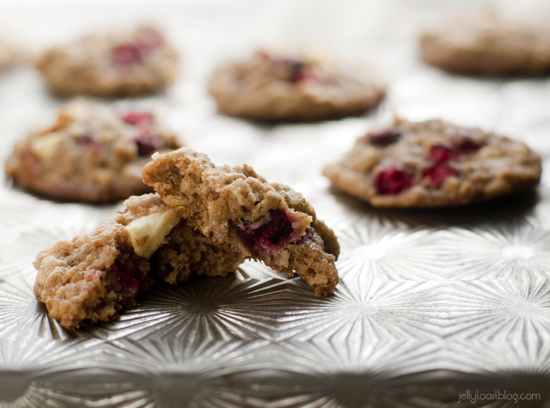 I am interrupting my regularly scheduled Thanksgiving dishes to bring you these cranberry apple oatmeal cookies. I couldn’t wait any longer. And because they are inspired by my cranberry relish, they’re technically a Thanksgiving food. Trust me. 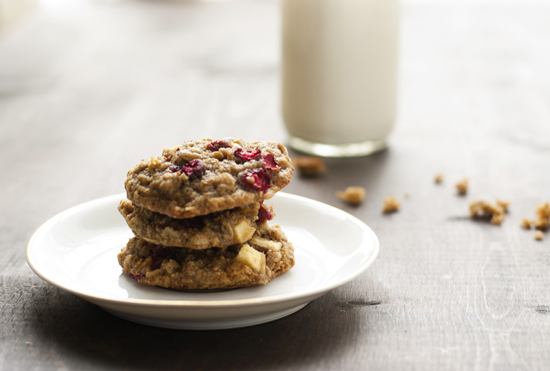 I have a love of soft oatmeal cookies and lately I couldn’t get the idea of making a cran-apple oatmeal cookie out of my head. My first thought when brainstorming these little beauties was to use dried cranberries. They are like the raisin-y version of cranberries, right? I am confident that dried cranberries would have worked, but for some reason at the last minute, I changed my mind and decided to use fresh cranberries instead. 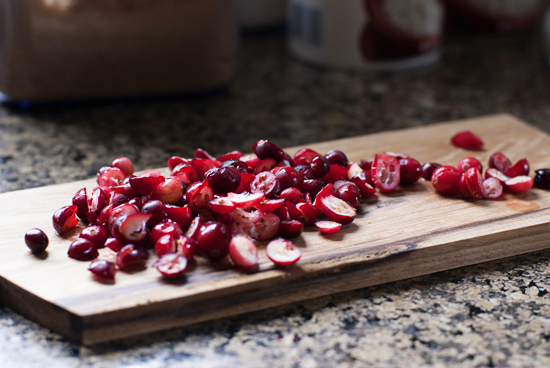 Using fresh cranberries would undoubtedly turn these into mini dessert versions of my cranberry relish. Perfect. The fresh cranberries did exactly as I had hoped. They were tangy, yet sweet and in addition to the chopped apple and orange zest, they gave these cookies an incredibly fresh twist. The fresh cranberries also retained their bright red color and looked like little red rubies floating in the oats. So pretty. These cookies are perfect for Fall and would make a great addition to any Thanksgiving dessert buffet. That’s right. Dessert Buffet. If you are a part of a lucky family that celebrates with an entire buffet of dessert, these would be perfectly at home amongst the pumpkin and pecan pies. Just make sure you make enough to go around. These have a bad habit of disappearing. At least in my house. In a medium size bowl, whisk together flour, baking soda, salt and cinnamon. Set aside. In the bowl of an electric mixer, cream together butter and sugar until light and fluffy. Add vanilla, egg and orange zest and mix well to incorporate. With the mixer on low, gently add the flour mixture to the butter mixture. Mix until just incorporated. Add oats and mix again until oats are incorporated. About 30 seconds. Using a rubber spatula, gently fold the chopped fruit into the dough. 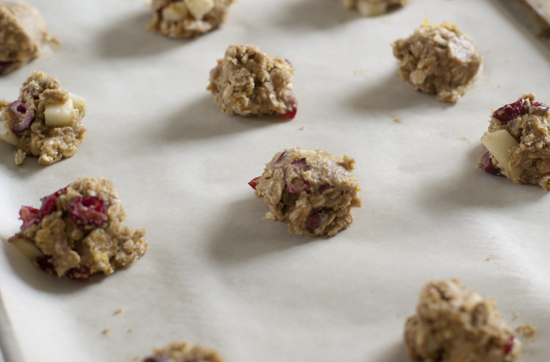 Drop the dough by the tablespoon onto the parchment lined baking sheets. Place the sheets of dough in the freezer for about 10 minutes before baking. Bake for 12 minutes or until the edges turn a light golden brown. Allow the cookies to cool on the sheets for 5 minutes and then transfer them to a wire rack to cool completely. Cover and store at room temperature for up to 3 days. Wow, those cookies look amazing! 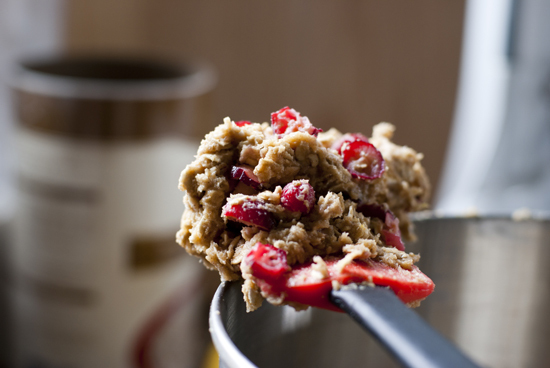 I have been buying cranberries for breads and oatmeal but never thought to sub them in for cookies. I might even add some white chocoalte too. Delish! White chocolate would be great in these! Great idea! What a great fall treat! These cookies look delicious and I absolutely love your photos of them. Thanks so much for the kind words! Be sure to stop by again. Happy Thanksgiving! I just made these for a Thanksgiving party, and they are scrumptious! (Not all of them made it to the party. :)) The apples and cranberries are a fantastic combination…a delicious, festive combination of tart and sweet. Thanks for the great recipe! I just wanted to let you know that I’ve made these cookies for three separate events and each time they were met with RAVE reviews! There were never any left over and everyone commented on how delicious they were and wanted the recipe. Thanks so much! I was so excited to make these! 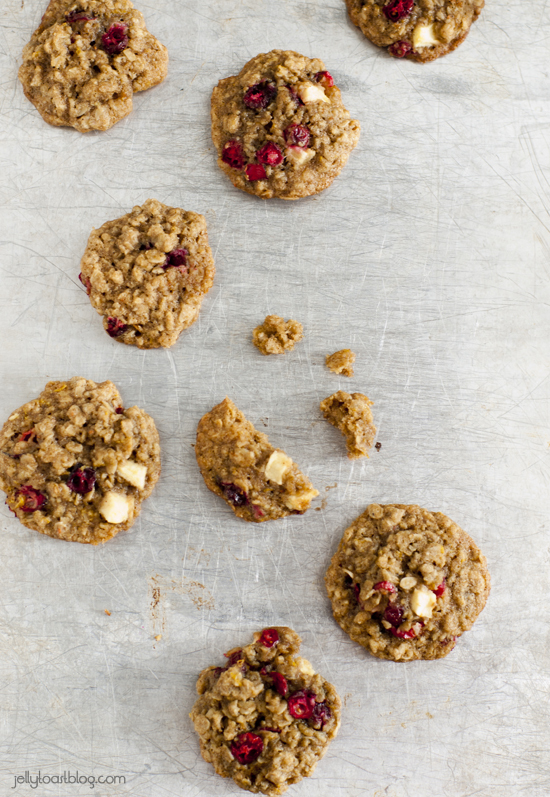 I love the idea of tart cranberries and sweet apple inside of a cookie. I used earth balance to make them dairy free. I followed your directions for timing and took them out once the edges and bottom were browned and they tasted SO GOOD. However, they got a big soft sitting overnight, probably from all of the moisture in the apples I think. They were a little soft for my liking so I put them in the freezer and ate them frozen and they were amaaazing. 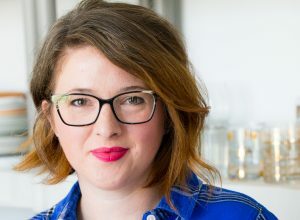 Next time I’d bake for longer or put less apple/smaller chunks. Thanks! !